LOS ANGELES, Feb 23 (Reuters) – The main U.S. producer of high-purity aluminum used in military aircraft is poised to begin restarting idled production lines at its smelter in eastern Kentucky and recall some 350 workers if President Donald Trump imposes aluminum import curbs. Century Aluminum Co Chief Executive Michael Bless told Reuters on Thursday that the Commerce Department recommendations for aluminum tariffs or quotas would allow U.S. primary aluminum producers to restore all of "what's left" of their idled capacity to production. Century could probably bring its Hawesville, Kentucky smelter back to full output of around 265,000 to 270,000 tons annually by early 2019, Bless said. The company has shut down three-fifths of Hawesville's production machinery in response to a flood of imports in recent years from China, the Middle East and Russia. "If we had an order here from the president in the near term and the remedy was consistent with what’s being proposed, we could and we would begin to bring on that capacity at Hawesville. Our board has already decided that," Bless said. The Commerce Department last week revealed its import restriction options for Trump, including a 7.7 percent global aluminum tariff on all products from all countries. It was announced with recommendations for steep tariffs on steel. Alternatively, the agency proposed a country-specific tariff of 23.6 percent on all products from China, Hong Kong, Russia, Venezuela and Vietnam, with imports from other countries capped at their 2017 levels. A third option would be an import quota for all countries based on 87 percent of their 2017 aluminum exports to the United States. Bless said Chicago-based Century would support any one of these options, or another remedy that would accomplish Commerce's stated goal of restoring the industry to 80 percent capacity usage. "We think they got it absolutely right in terms of the harm done to the U.S. primary industry and the emerging harm being done to the downstream industry," he said, adding that the curbs were needed to make it "uneconomic" for China and other countries with too much capacity or little domestic demand to export their products to the United States. 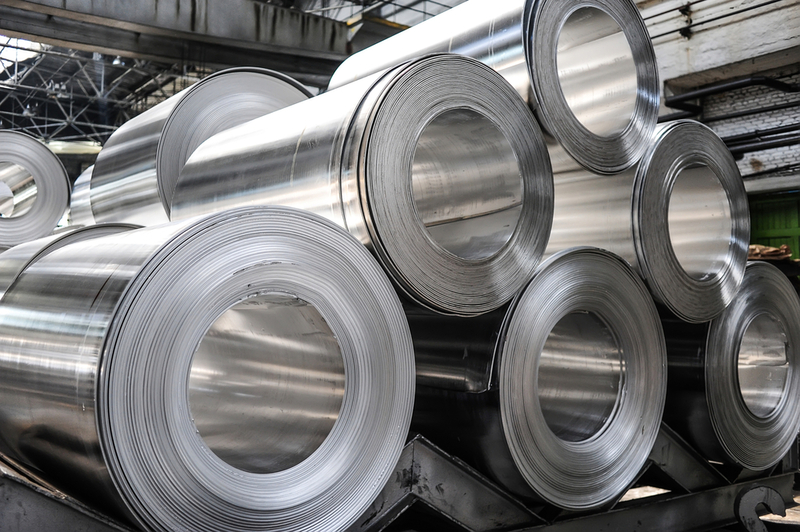 U.S. aluminum and steel users have voiced opposition to the tariffs, arguing that they will increase costs and could compromise the industry's competitiveness. However, Bless said that he saw little evidence of final product prices being adjusted to reflect the 50 percent drop in aluminum prices in 2014 and 2015. He argued that even if a 7.7 percent tariff were fully "translated" or passed on, pushing up the aluminum content in a final product by a similar amount, it would only add $35 to the cost of an average U.S.-built passenger car using 450 pounds of aluminum. The price of a six-pack of beer would increase by 1.5 cents, he said. Even if that happened, he said that may be an acceptable "price we're willing to pay to ensure security of supply". Century also on Thursday reported a fourth-quarter net profit of $35.8 million, bringing its full-year 2017 profit to $48.6 million after a $252.4 million loss in 2016. But Defense Secretary James Mattis has said in a memo to the Commerce Department that he would prefer a delay in aluminum tariffs should Trump proceed with tariffs to aid the steel industry. Bless added that without a remedy to restrict imports, it would be difficult for the company to continue to operate its plants at 40 percent to 50 percent of capacity. It has already been deferring maintenance and it would be a difficult decision to reinvest without more certainty. "We’ve been skimping by with these plants and that’s catching up with us," he added.